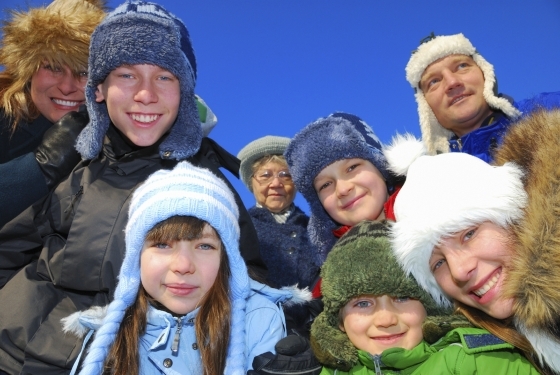 Family reunions and retreats can take place in the winter, spring, summer, or fall. Whatever the season, colorful Colorado makes planning a clan gathering easy. From toddlers to great grandparents, there’s something for everyone beneath the Colorado skies. Active kids need more than stunning scenery, mountain vistas, and scenic drives and the Denver metro region offers family attractions by the score. Denver is home to thrill-inducing amusement parks, the Children’s Museum, and the Museum of Nature and Science. For the family animal lovers, a visit to the Monkey Island at the Denver Zoo or the Butterfly Pavilion and Insect Center in Broomfield will provide lasting memories. And hot summer days are perfect for the water park where the slippery slides and screaming roller coasters beckon. The Colorado mountains are a teenager’s dream where there is never a dull moment. The single-track bike trails in Colorado Springs, Copper Mountain, and Boulder are fat-tire heaven. Bikers can pedal off on their own or sign up for tours. Those who like their excitement on four wheels, Colorado’s 42 state parks are home to hundreds of miles of ATV trails. For fun on two legs, Colorado is a hiker’s paradise with thousands of miles of trails extending through national forests, parks and wilderness areas. In the warmer months the also attract paragliders, white water rafters, and kayak paddlers. And when the snow is falling, Colorado calls to the snowboarders, skiers, snow tubers, and snowmobilers. For an entirely new family reunion experience, how about a day of dogsledding in Steamboat Springs or Vail? If just reading that paragraph tired you out, you might be more interested in laid-back family activities. Colorado is a foodie paradise with more than 120 craft breweries, 100-plus wineries, and a host of award-winning chefs operating top-notch restaurants. You can dine and drink high atop Pikes Peak, dance through downtown Boulder’s historic Pearl Street district, or see an Old West stage show in Durango. Folks who like a little art with their family gatherings will find that nearly every Colorado town offers fine art, ceramics, photography, and more. Art galleries are abundant in Breckenridge, Boulder, Colorado Springs, Fort Collins, and Telluride. And why not? Colorado’s magnificent scenery is an inspiration not only to artists, but sisters and brothers, aunts and uncles, mom and dad, and the grandparents too. Whether your clan wants dance and dine beneath a mountain, scale its dizzying peaks, or freestyle down one of its black diamond runs, Colorado is an ideal retreat that can’t be beat for family reunions.